most commonly a small-circulation self-published work of original or appropriated texts and images usually reproduced using a photocopier, printing press or just paper and pen. Dissidents and members of socially marginalized groups have published their own opinions in leaflet and pamphlet form for as long as such technology has been available. The primary intent of publication is usually for purposes other than profit. 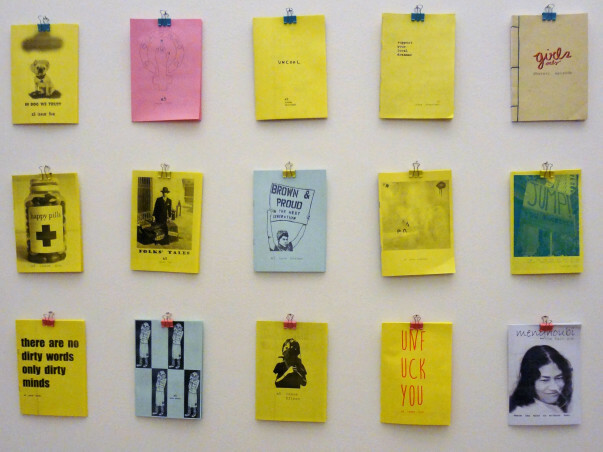 Zines frequently draw inspiration from a "do-it-yourself" philosophy, or DIY ethic. 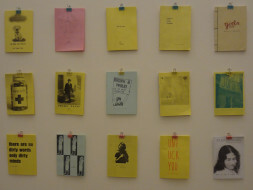 WHAT IS A ZINE LIBRARY : Zine libraries are a great place to learn something new, get inspired, discuss, interact, meet friends, connect with local makers and get involved with various forms of accessible media. They bring together people who are interested and involved in making zines and DIY publishing, sharing ideas and stories. It’s an amazing way to get a conversation started, and make something big happen in our community. IMPORTANCE AND RELEVANCE : The heart of the act of zine-making, is to be rooted in physical interaction between zinester, zine, and the reader. The experience of handling zines in person, turning each page to reveal intimate secrets, funny comics, and poetry, can’t be duplicated on-line. You would get the content, but miss out on the physical experience. Self-published ephemera like zines, handbills, and independent newspapers can provide a glimpse into a part of history that includes the voices of marginalized individuals and groups which would otherwise be lost were they not collected. Since before alternative publications are a natural and important tool for preserving free speech. We will also be facilitating all-ages zine-making workshops, using zines from the library as inspiration. Participants of the workshops will have a chance to experiment with a variety of zine structures, techniques, and materials. The bold endeavours of the zine-makers we present might even influence other hopefuls to pursue their dreams as well, ultimately allowing aspiring zine-makers to lead better, more fulfilled lives.